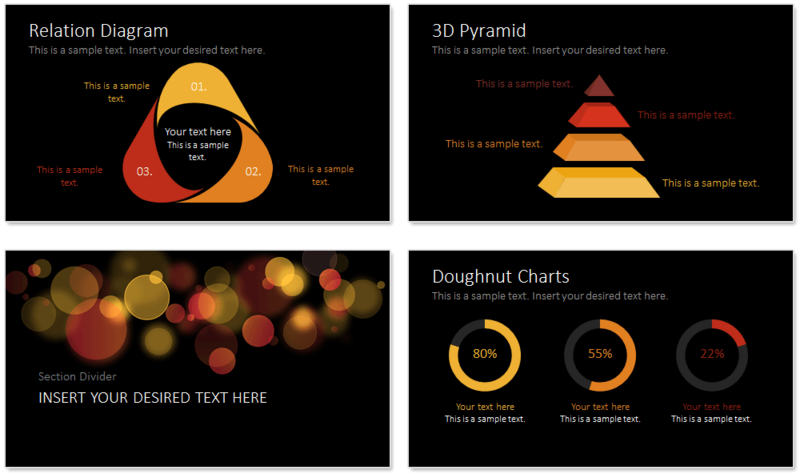 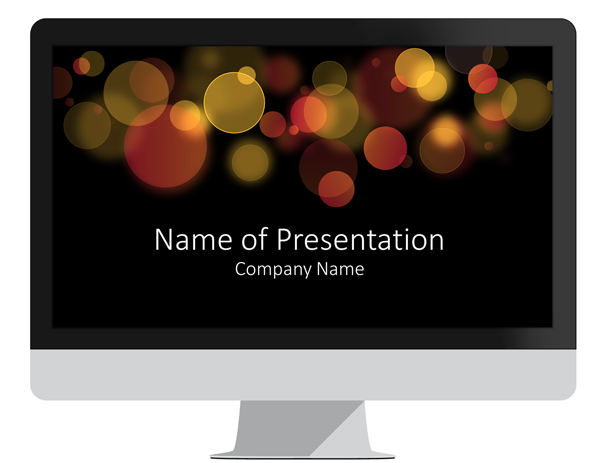 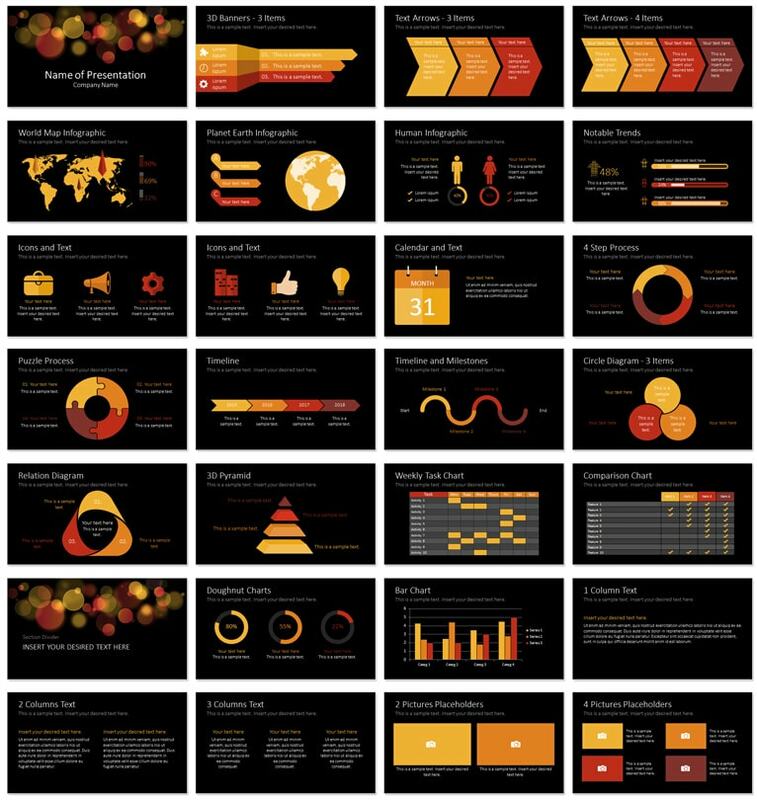 Colorful bokeh PowerPoint template with warm blurred lights (bokeh) on black background. 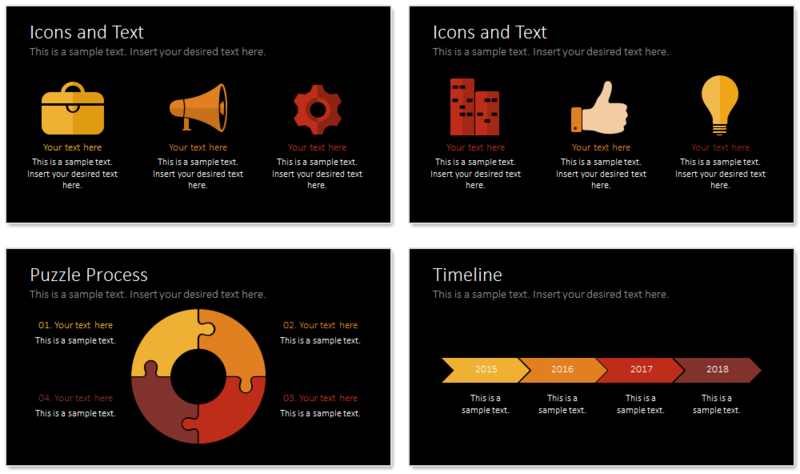 This theme contains 28 pre-designed slides including; text arrows, world map, planet earth infographic, calendar, puzzle process, timelines, data charts, 3D pyramid, and a nice flat design icon set. 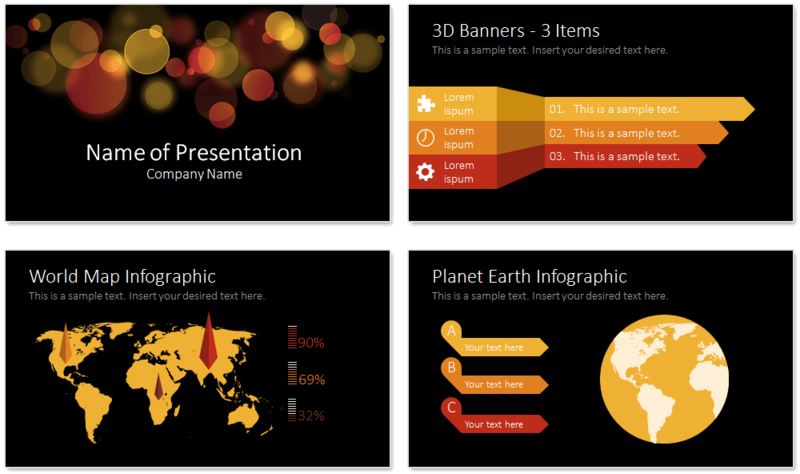 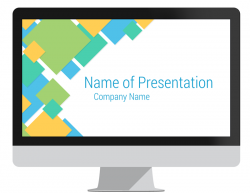 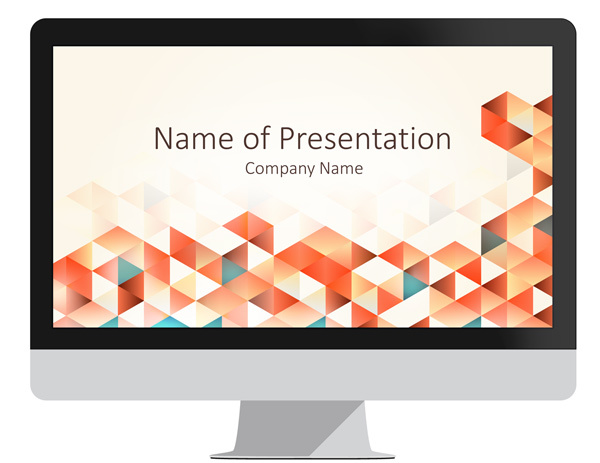 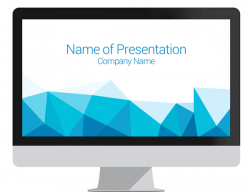 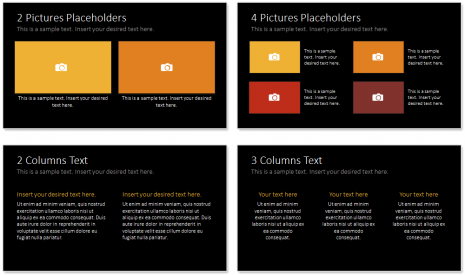 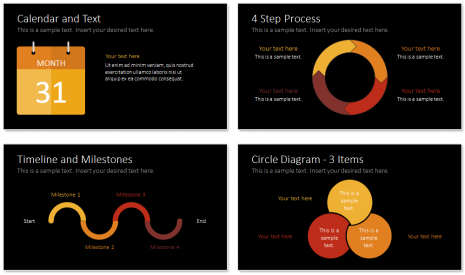 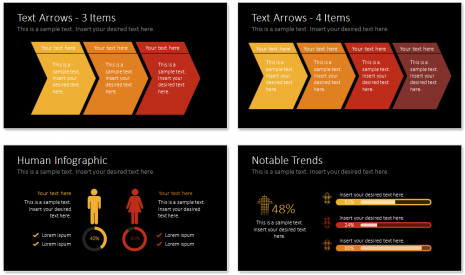 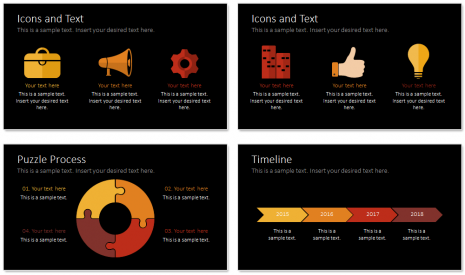 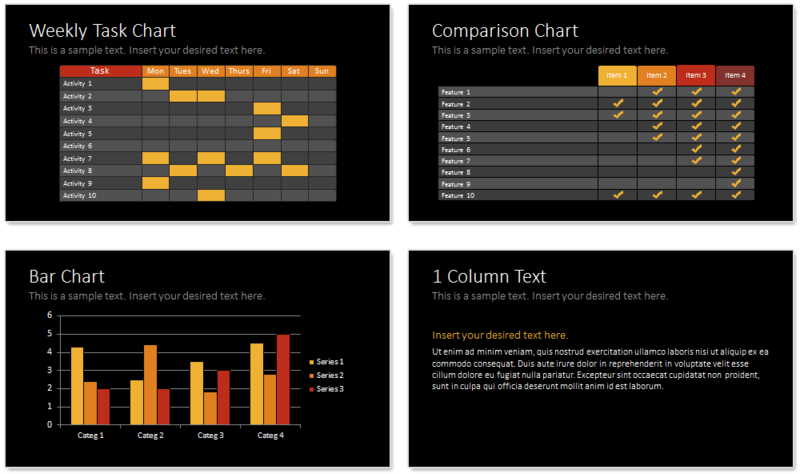 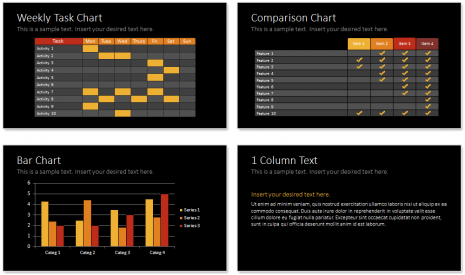 This template could be used for presentations on various topics and shapes are 100% editable in slide master view in PowerPoint.